The Athenian General Kimon led 200 triremes in 450 BC to free Cyprus from the Persians. He died while he was besieging Kition. Kalogreon Square: Tel: (04) 630169. Interesting collection of finds from the Larnaca area, dating from the Neolithic Age to the Roman period. 4 Zinonos Kitieos Street. Tel. : (04) 652495. 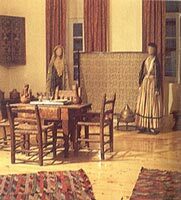 The oldest privately owned museum in Cyprus, set up by Dimitrios Pierides (1811-1895). It houses ancient, medieval, Byzantine and more recent objects belonging to the Pierides family. A display case of modern Greek and Cypriot sculptures can be seen in the courtyard. Built in 1625, it was used as a prison in the first years of British rule. It now houses the District Mediaeval Museum. The Fort is also used as the Larnaca Municipal Cultural Centre during the summer. Saint Lazarus is the patron saint of Larnaca. 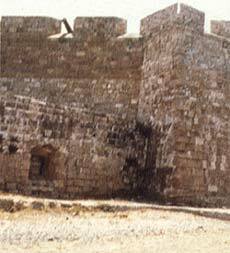 Kition became his second home after his resurrection by Christ, and he lived here for another 30 years. He was ordained Bishop of Kition by Saints Barnabas and Mark. In the 9th century a magnificent church was erected over his tomb by Emperor Leo VI. The church, one of the finest examples of Byzantine architecture in Cyprus, was faithfully restored in the 17th century, and the iconostasis is an excellent example of baroque woodcarving. Visitors can see the tomb of Saint Lazarus under the sanctuary and an ecclesiastical museum behind the church. Eight days before the Greek Orthodox Easter the icon of Saint Lazarus is taken in procession through the streets of Larnaca. Approximately 500 m. northeast of the Archaeological Museum. 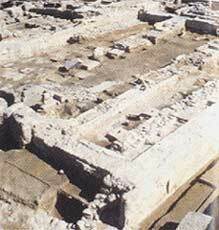 One of the most important of the ancient city-kingdoms, with architectural remains dating back to the 13th century BC. In about 1200 BC, it was rebuilt by the Mycenaean Greeks, and excavations have revealed cyclopean walls made of giant blocks of stone and a complex of five temples. Kamares area on the Larnaka - Lemesosl road. A beautiful 18th century aqueduct which was in use until 1930. Built in 1816 over the tomb of Umm Haram, allegedly a relative of the Prophet Mohammed, who died on this spot in 649 during the first Arab raids. 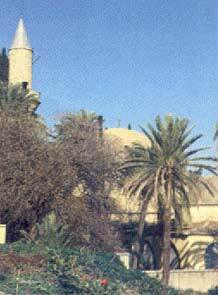 The mosque is an important place of Moslem pilgrimage ranking immediately after the shrines of Mecca, Medina and Al Aqsha in Jerusalem. Within the Larnaka Municipal Gardens. 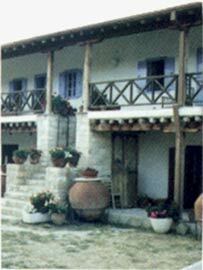 The museum has displays of rare insects, birds and animals of Cyprus. his 11th century Byzantine church was built on a destroyed early Christian basilica, the apse of which survives together with one of the finest pieces of Byzantine art, a 6th century mosaic of the Virgin Mary and Child between two archangels, which rivals the Ravenna Mosaics. Built by Lusignan King Janus in 1421, it contains a wall painting of the king and his wife, Charlotte de Bourbon. 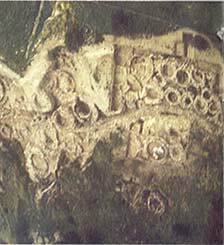 It is considered to be one of the most interesting structures surviving from the Frankish period. Perched on a rocky peak, 750 meters above sea level, Stavrovouni means the Mountain of the Cross. According to tradition it was founded by Saint Helena, mother of Constantine the Great, who left a fragment of the Holy Cross to the monastery. The brotherhood is extremely devout, keeping vows as strict as those of the Mount Athos brotherhood in Greece. Women are not allowed in the monastery, though men may visit the monastery daily from sunrise to sunset, except between 12.00-13.00 (15.00 hrs in summer), on Green Monday and the following day. There is an impressive ceremony and celebrations on 14 September, the day of Exaltation of the Holy Cross. 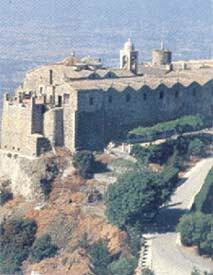 The Monastery of Ayia Varvara (Saint Barbara) at the foot of Stavrovouni hill, is easily accessible. The monks here, as in Stavrovouni, have a high reputation for icon painting. The ancient site of Choirokoitia, is included since 1988 in the Unesco World Cultural Heritage official list. It is the site of a Neolithic settlement found in a better state of preservation than most others from this period, not only in Cyprus but in the whole of the Eastern Mediterranean. It represents through its consecutive phases of building the whole history of the Neolithic period in Cyprus and divulges precious information as to the spread of the Neolithic culture throughout the region. The general Development Plant of Choirokoitia has its objective to maintain the authenticity of the place, to protect the natural and man-made environment and to give out information through the creation of a Visitor's Centre. Five dwellings in close proximity have been reconstructed following the Neolithic model, using the same methods and traditional materials and have been furnished with copies of objects actually found inside the houses during excavations, in order to give a better impression of the layout of the village as it was in antiquity. In addition the plant life around these huts represents plants that were cultivated or indigenous trees that grow in Cyprus since the Neolithic times. 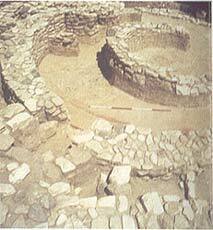 Tenta, one of the most important Neolithic settlements in Cyprus of 7000 BC., lies near the village of Kalavasos. A picturesque village, famous for its local lace known as "Lefkaritika" and for its silverware. According to tradition, Leonardo da Vinci visited the village and bought an altar cloth, which he donated to the Milan cathedral. 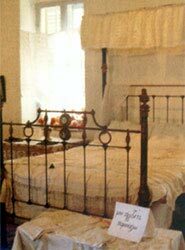 The House of Patsalos houses the Lace and Silverware Museum of Lefkara. The church of Archangelos Michael in Kato Lefkara is of the single-aisled domed type and has wall paintings of the late 12th century. At Pano Lefkara, there is the church of the Holy Cross with a beautiful 18th century iconostasis and a unique 13th century silver cross. A religious fair takes place on 13-14 September, day of the Exaltation of the Holy Cross. 15th century monastery with a church at the centre of the cloisters. The nuns, besides performing their religious rites, are famous for their icon painting. The monastery is open for visitts daily, except between 12.00-15.00 hrs. For organised groups visits the monastery is open from Monday to Friday. A three-aisled wooden roofed church with excellent wall paintings of the Italo-Byzantine style, dating to the first half of the 16th century. 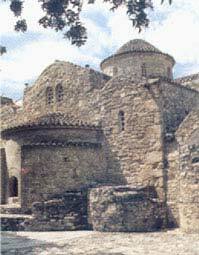 This is one of the most important Byzantine churches of Cyprus, possibly of the 9th century. 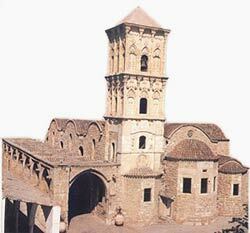 It is a three aisled vaulted basilica which has undergone many reconstructions with repairs. It preserves significant wall paintings surviving from the 9th, 11th, 13th centuries. 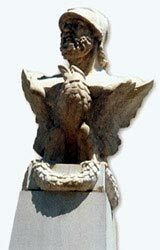 The museum displays the work of local sculptor Kostas Argyrou. Visits can be arranged by phone No. (04) 432277.